The Senator representing Imo West Senatorial District, Hope Uzodinma, has revealed how the National Chairman of the All Progressives Congress, APC, Adams Oshiomhole settled the crisis in state chapter of the party. 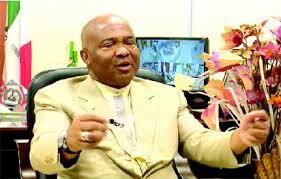 Uzodinma said the state had to resolve its issues with the election by the corner and work to achieve victory. Uzodinma also told the News Agency of Nigeria, NAN, in Abuja on Friday, that direct primaries, as encouraged by the National Working Committee, would bring the various factions of the party in the state together. He commended the National Chairman of the party, Oshiomhole and the National Working Committee for the role they played in reconciling the various factions of the APC in Imo. “Also, in view of the various litigations in court and to protect the interest of our candidates, he has approved the use of direct primaries for Imo State.